Conor McGregor has been charged in New York with three counts of assault and a single count of criminal mischief after the UFC superstar allegedly attacked a bus at the Barclay’s Center in Brooklyn. According to reports from various news sources including MMAJunkie, McGregor and his entourage of roughly 20 were granted access to the arena’s loading area on Thursday afternoon. That’s when the mixed martial arts and one-time professional boxer rushed a bus carrying fighters who were set to compete this Saturday during UFC 223. McGregor allegedly threw a dolly at the bus, which broke a window and injured multiple passengers. Video obtained by TMZ also shows him trying to hurl a pedestrian barricade at the vehicle. Accompanied by his lawyer, McGregor turned himself in on Thursday night after the New York Police Department brought charges against the 29-year-old and issued an arrest warrant. Injuries sustained by lightweight Michael Chiesa and flyweight competitor Ray Borg have forced both fighters to withdrawal from Saturday’s event. Artem Lobov, who was among McGregor’s entourage, was also removed from this weekend’s card for his role in the alleged attack. The two main cards, Khabib Nurmagomedov vs. Max Holloway and Rose Namajunas vs. Joanna Jędrzejczyk 2, will go on as scheduled. Khabib is the heavy favorite at online sportsbook Bovada (-450). The women’s contest should be a more even bout, with Joanna currently a slight favorite at -120. The UFC, which was sold in 2016 by Station Casinos owners Frank and Lorenzo Fertitta to WME-IMG for $4.2 billion, is in desperate need of some star power. UFC President Dana White allowed Conor McGregor to box Floyd Mayweather last August in hopes of growing interest in the UFC. But after pocketing an estimated $100 million in his defeat, it appears McGregor has little interest in returning to MMA. The UFC also recently lost Ronda Rousey after she suffered back-to-back upsets. Rumors have been swirling that Mayweather may cross into MMA for a McGregor rematch. The Westgate SuperBook opened lines on the hypothetical matchup with Conor a big favorite (-1000) and Floyd the long dog at +650. Bovada has perhaps a timelier market asking if McGregor will be released by the UFC in 2018. 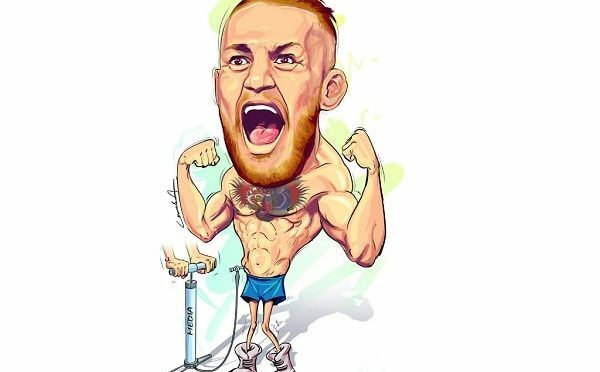 “Yes” is at +170, and “No” at -250, meaning the sportsbook believes the MMA league will keep its contract with Conor through the end of the year. Dana White called the incident “the most disgusting thing that has ever happened in the history of the company.” Rumors have surfaced that Conor McGregor was upset over the league readying to strip him of his Lightweight UFC belt if he isn’t willing to defend it. White says McGregor won’t be welcomed to compete inside the Octagon anytime soon. White also said it’s “out of character” for McGregor to act as such. “This is not the Conor McGregor that I know,” the UFC boss declared.